The First National Bank of Amazon? Is there any part of the business world that Jeff Bezos doesn't want to control? A spokesperson for JPMorgan Chase (JPM) declined to comment on the WSJ story. Capital One (COF) said it does not comment on "rumor or speculation." Amazon was not immediately available for comment. Amazon may want to construct a more seamless relationship with its millions of customers -- they could pay for all the things they get from Amazon, such as books, groceries and access to TV and movies on Prime Instant Video, via an Amazon-branded checking account. Bank stocks barely budged Monday on the reports. That's probably because Amazon would apparently work with the big financial firms as opposed to trying to pull an end around on them. That makes sense. Banking is a highly regulated business. 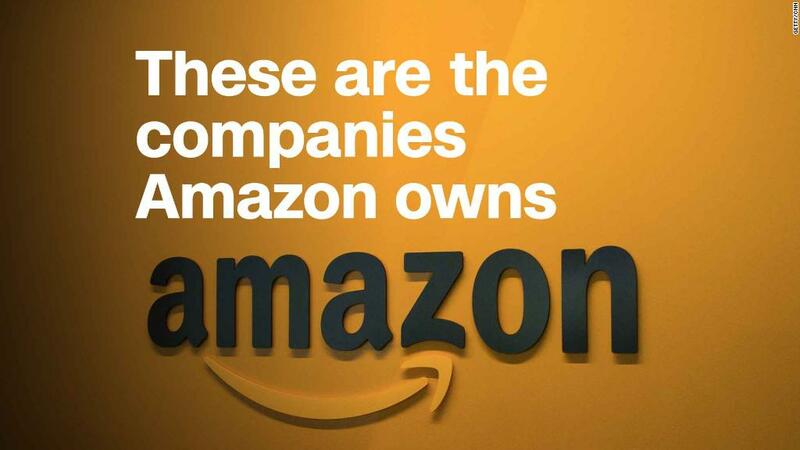 It's hard to imagine Amazon wanting to create its own banking charter. But if Amazon (AMZN) does wind up offering checking accounts, it will be just the latest example of how the e-commerce giant is extending its tentacles into just about every aspect of its customers' lives. The company is already the most dominant force in online retail -- and arguably retail in general. Millions of customers buy all kinds of "stuff" (paging the late, great George Carlin!) from Amazon on their computers and phones. Amazon is now growing its presence in traditional, brick-and-mortar retail with its own stores and last year's acquisition of Whole Foods. The company is a major media player too thanks to its Prime Instant Video offering. And for those of you who still watch shows and movies on a TV set, you can use Amazon's Echo and Alexa as a remote control. Amazon has also muscled its way into shipping, perhaps to the detriment of FedEx (FDX) and UPS (UPS), with the purchase of stakes in two cargo airlines for its Prime Air service. And Amazon is even looking to change the way people get access to medical care. The company announced in late January it was entering the health care insurance business in a partnership with JPMorgan Chase, and Warren Buffett's Berkshire Hathaway (BRKB). Amazon already offers a Prime rewards credit card from JPMorgan Chase that is issued by Visa. Amazon also has an Amazon.com Store card from Synchrony (SYF), the financial services company spun off by General Electric (GE) in 2015. Investors will be watching whether or not Amazon does wind up doing more deals with big banks -- and maybe even getting Buffett to assist in any joint ventures as well. After all, Buffett is a big fan of bank stocks. Scandal ridden Wells Fargo (WFC) is still one of Berkshire Hathaway's top holdings. Buffett also owns big stakes in Bank of America (BAC), American Express (AXP), Bank of New York Mellon (BK) and Goldman Sachs (GS).